Teresa Heinz Kerry was born as Maria Teresa Thierstein Simoes-Ferreira on the 5th October 1938, in Lourenço Marques, Portuguese East Africa, (now Maputo, Mozambique). She is now a naturalised American philanthropist and businesswoman, who is probably best recognized for being the widow of H. John Heinz III, a former US Senator, and the wife of John Kerry, the current US Secretary of State and former US Senator. So, have you ever wondered how rich Teresa Heinz Kerry is? According to authoritative sources, it has been estimated that Teresa counts the overall size of her net worth at the impressive amount of $200 million, as of mid- 2016. This sum of money is largely the result of her involvement in the business industry as an heiress of H.J. Heinz Company. 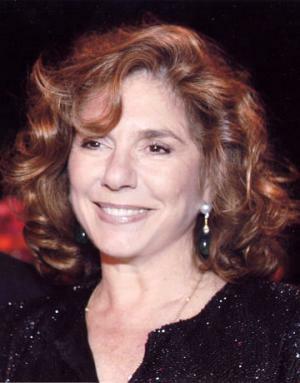 Teresa Heinz Kerry is the daughter of the late Dr. José Simões-Ferreira, Jr., who was a tropical-disease specialist and oncologist, and the late Irene Thierstein. She attended the University of the Witwatersrand, Johannesburg, South Africa, from which she graduated with a BA degree in Romance Languages and Literature in 1960, and then a degree from the School of Translation and Interpretation at the University of Geneva in 1963. Right after that, she relocated to the USA, and began working as an interpreter. Subsequently, she met her future husband John Heinz, a US Senator, and married him in 1966, and they together had three sons; thanks to this marriage, she received USA citizenship. After 25 years of marriage, Senator Heinz was killed in a helicopter crash in 1991, which meant that Teresa inherited the Heinz Ketchup fortune, and she became the Chairman of The Howard Heinz Endowment. Unsurprisingly, she soon decided to retire from her translation job. Furthermore, she used the family money quite well, as she started several philanthropic organizations, including the Heinz Family Philanthropies, one of the biggest private foundations world-wide. Later, in 1996, she founded the Women’s Institute for a Secure Retirement. Speaking about her personal life further, before her husband’s death, John introduced her and John Kerry, and they married in 1995, and since then they have been together. Teresa’s current residence is in Fox Chapel, Pennsylvania. Thanks to her accomplishments in charity work, Teresa was awarded the Albert Schweitzer Gold Medal for Humanitarianism in 2003, for promoting healthy life and education around the whole world. 1 (when asked of her opinion of her husband running for President)Honestly, I was a little nervous. I knew that having someone in your family run for president was a huge responsibility. I knew that it meant a lot of hard work and traveling around the country, but I also knew that John is the right man to lead this country and that this country needs him. I'm very proud of his decision to stand up for what he believes and for working very hard to bring about change in this country. 1 Released from a Boston hospital on July 27, 2013, after suffering a seizure on July 7, 2013. 2 Diagnosed with breast cancer [December 23, 2009]. 3 Daughter of Irene Thierstein (1912-1997) and José Simões Ferreira Junior (died 1989). 4 Sister of José Pedro and Margarida Helena (1945-1963). 5 As a child in Mozambique, she played the piano and loved climbing trees. She has said to have broken her wrist several times doing so. 6 Speaks five languages: English, Spanish, Portuguese, French and Italian. Portuguese is her native tongue. 7 Stepmother of Alexandra Kerry and Vanessa Kerry. 8 Sons, with John Heinz: Henry John IV (b. 4 November 1966), André Heintz (b. 12 September 1969) and Chris Heinz (b. 20 March 1973).